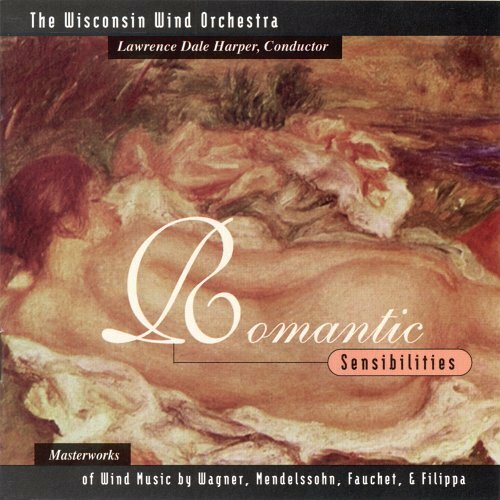 In 1997, the orchestra released its first CD, entitled "Romantic Sensibilities." In a review of the disc, the American Record Guide called the ensemble "top quality" with a conductor "with fine command over both the music and musicians." The recording was also given praise by the World Association of Symphonic Bands and Ensembles, and is distributed internationally through Walking Frog Records. This recording features the full compliment of 40 players throughout and includes the very rarely heard masterpiece by Paul Fauchet, the Symphony Pour Harmonie. The CD was recorded and engineered by prominent producer, Bruce Leek, of California. The ensemble released their second CD, "Old Wine in New Bottles," in fall, 2002. In a review of that CD, The American Record Guide said, "Listening to these readings of excellent wind band literature is a lovely listening experience," and called the conductor "a stickler for detail, a motivator, and a first-rate musician who brings nuance and insight to a piece of music." This disc features the core members of the ensemble playing elegant, well-known chamber winds music by Gounod, Kurka, and Hahn. The leading producer of wind music in the world, Mark Morette of Mark Custom Records, edited and recorded this CD of top-quality. "Wind Consorts" was released in March 2006 and was again recorded by Mark Custom Records. The disc features the chamber winds version of Carl Orff's orchestral masterpiece, Carmina Burana, as well as music by Mendelssohn and Debussy. The bassoon concerto of Dutch master composer, Bernard van Beurden, rounds out the disc. 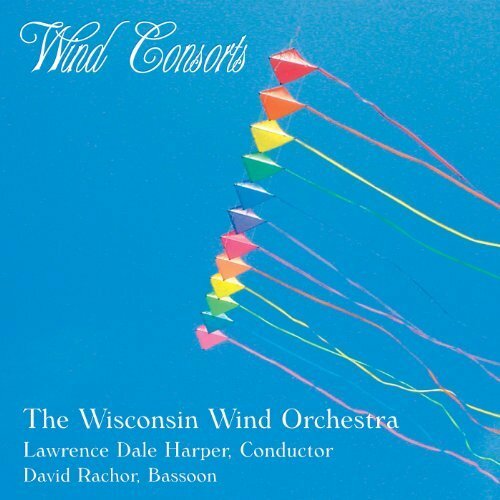 The newest project by the Wisconsin Wind Orchestra is entitled "World Wind." 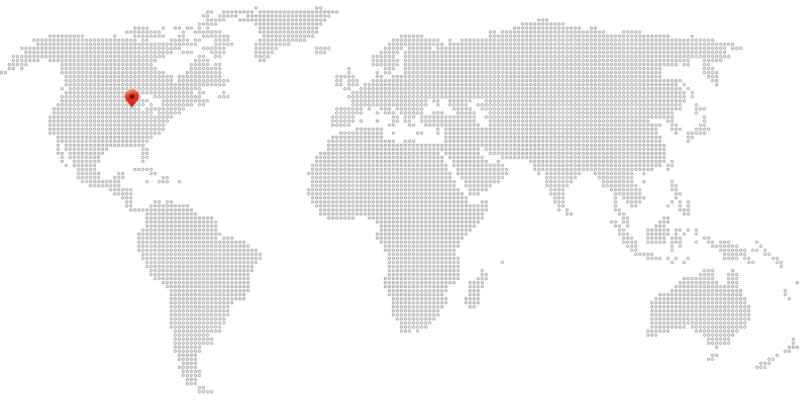 It was released in December 2008 and features internationally renowned ensembles: The Trombones of Costa Rica and the Global Percussion Network of Sweden. The orchestra performs the delightful Sept Danses from Jean Francaix' ballet, Le Mahleur de Sophie. 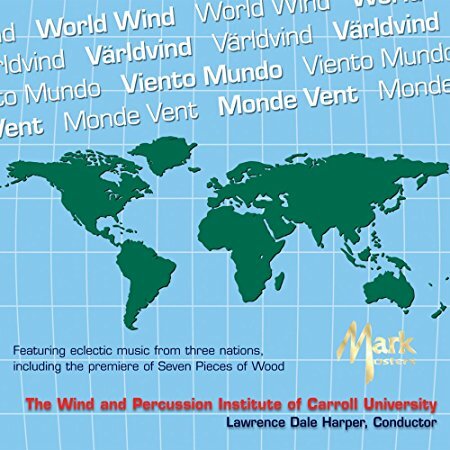 The CD also introduces listeners to the world premiere of Anders Astrand's unique work for three solo percussionists and wind orchestra, featuring the amazing Global Percussion Network.